From Race and 14th. 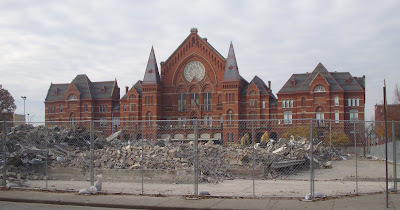 I'm sure we'll be seeing this straight-on shot of Music Hall a lot now that there are no buildings across the street. It is impressive, but I still like the compressed view closer in, from Elm Street.